We are proud to serve the business community in Mission and its surrounding areas. 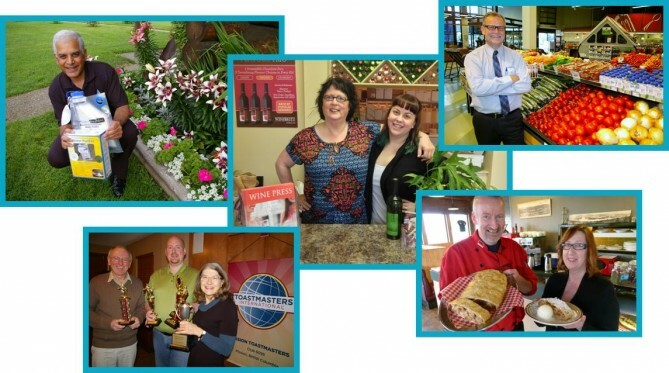 Our members have diverse stories to tell that make Mission a dynamic region to do business. Since 2005, IHE has been taking the pulse of industries that use heavy equipment and designing its courses to meet their needs. In addition, IHE considers the needs of its students, who will eventually satisfy employers’ requirements as heavy-equipment operators. Students at the IHE Operator Schools get real-world experience operating full-size equipment in a real-life working environment. Each student puts in a full day, with five hours of hands-on training (including pre- and post-operating checks) on full-size, industry-compliant equipment—dozers, articulated rock trucks, graders, wheel loaders, rubber-tire backhoes—depending on the particular course. Two more hours each day are spent in the classroom learning the theory behind topics like surveying, slopes, soil, and maintenance. Resume-building classes are included as well. IHE has three locations to serve its students and industry partners: Winfield, B.C., Innisfail, Alberta, and here in Mission, which makes it easy for its students to access the work along the coast, and managers on the coast to meet prospective new-hires. The Mission campus of IHE is set to host an open house on Saturday, June 18, where visitors can see the live-training site, meet graduates and industry partners, and those who are interested can have a real-life experience sitting in an A.R.T. truck or operating an excavator. Drop in at 11750 Dewdney Trunk Road, 11:00 AM – 4:00 PM; no registration is required for the open house. For more information about the weekly course in-takes, call toll-free 1-866-399-3853 or visit www.IHEschool.com. And stay tuned for www.HEOJobShop.com, a website geared to connect trained operators and those who hire them. Student climbs on for real-world, hands-on equipment training at IHE Operator School.